Looking for a backcountry hunting companion? Here's your solution…Summit's Mini Viper SD Climbing Tree Stand. Weighing just 18 lbs., the Mini Viper SD offers maximum portability yet is every bit as comfortable as the larger Viper SD. 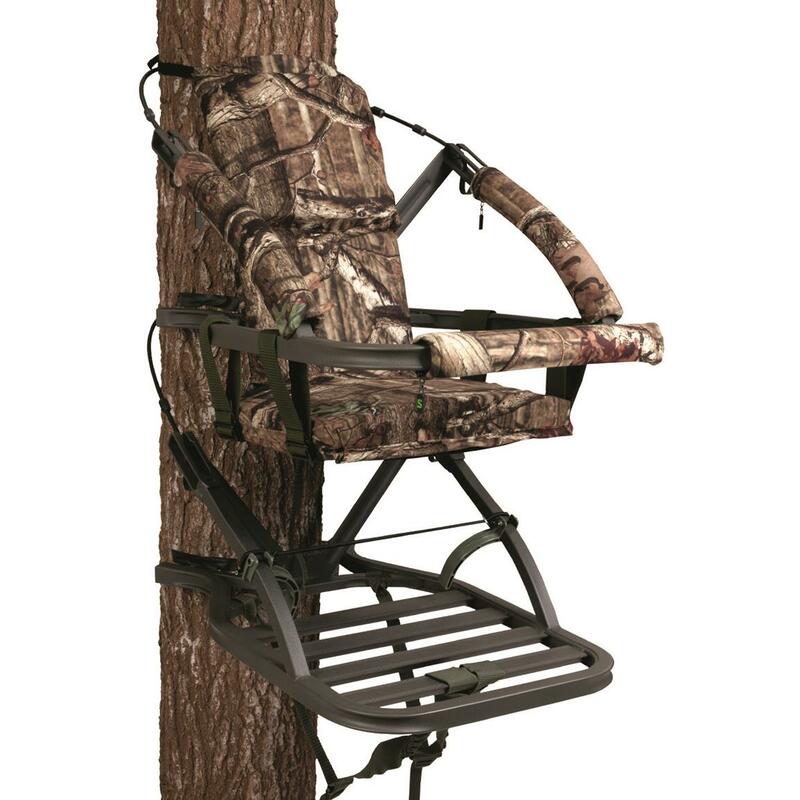 Its adjustable foam-padded seat can be raised for bow hunting or lowered if you're hunting with a firearm. Plus, the solid front bar makes climbing easy and doubles as a gun rest. Seat dimensions: 18"w. x 12"d.
Platform dimensions: 20"w. x 24.75"d.
Makes setting up your tree stand a one-man job.